There were signs of a pre-Christmas pick up in the City lateral market last week with Greenberg Traurig the leader following a double hire from US counterparts Ropes & Gray. Gowling WLG, meanwhile, made a significant London hire to its planning and environment practice as Bates Wells Braithwaite (BWB) brought in a team from Pennington Manches. Greenberg added to jitters in Ropes’ City office after making a one-two hire from the firm’s real estate team in the form of Partha Pal and Carol Hopper. Pal and Hopper had both spent almost four years in Ropes’ London outpost, after joining from Chadbourne & Parke and Allen & Overy respectively. Pal brings experience advising on the finance of real estate assets, while Hopper advises funds and investors alongside other financial services. 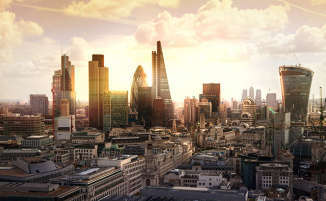 The pair were also the real estate duo axed as part of Ropes’ cutback in the firm’s London office this September. Elsewhere in the City, Gowling announced the hire of former Stephenson Harwood environment and planning head Ben Stansfield. Stansfield had been at Stephenson Harwood since 2013, and brings with him experience advising on issues relating to the development and consenting of renewable energy projects as well as environmental planning, permitting and licencing. BWB, meanwhile, darkened the door of Pennington Manches after hiring the entirety of the firm’s professional regulation team. As part of the move, professional regulation team head and partner Nicole Curtis will join BWB alongside two consultants and an associate. The team will join BWB in January. CMS also made a City move, hiring Denton’s rail and transport partner David Moore to the firm’s project finance team. Moore had been at Dentons since 2016, when he joined the firm from Clyde & Co. Moore possesses experience advising railway franchises, infrastructure development and operation as well as rolling stock procurement and regulation.